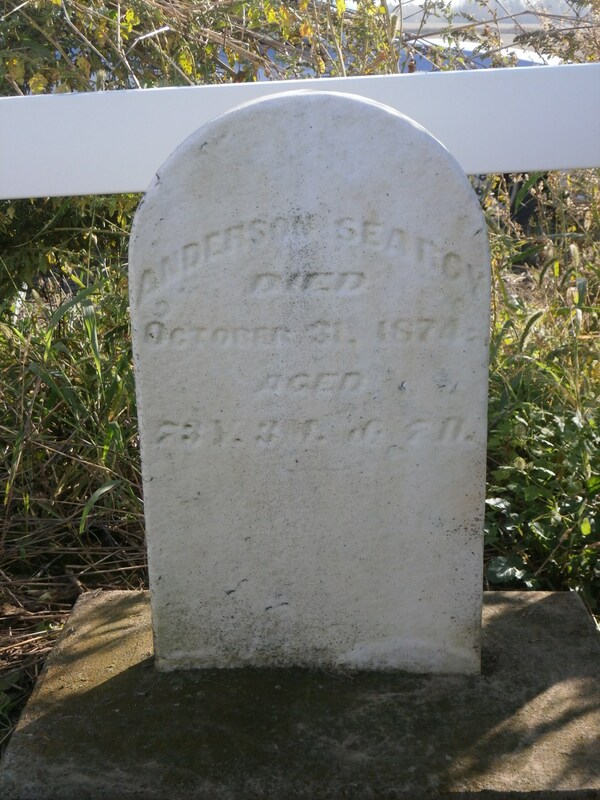 Searcy Cemetery is a very small private family cemetery located on the Rector family farm in southwest Tipton County. Originally containing four graves it now only consists of two. Mary Jane and Robert Kennedy Rector, who were buried here in 1876 and 1896 respectively, were later removed to the Hills Baptist Church Cemetery in nearby Clinton County. Mary Jane was a daughter of Anderson & Hannah Searcy who are buried here. The tiny plot is located one-eighth of a mile south of 450S near the east bank of a creek. According to family history, Anderson and Hannah selected this spot themselves in 1861. 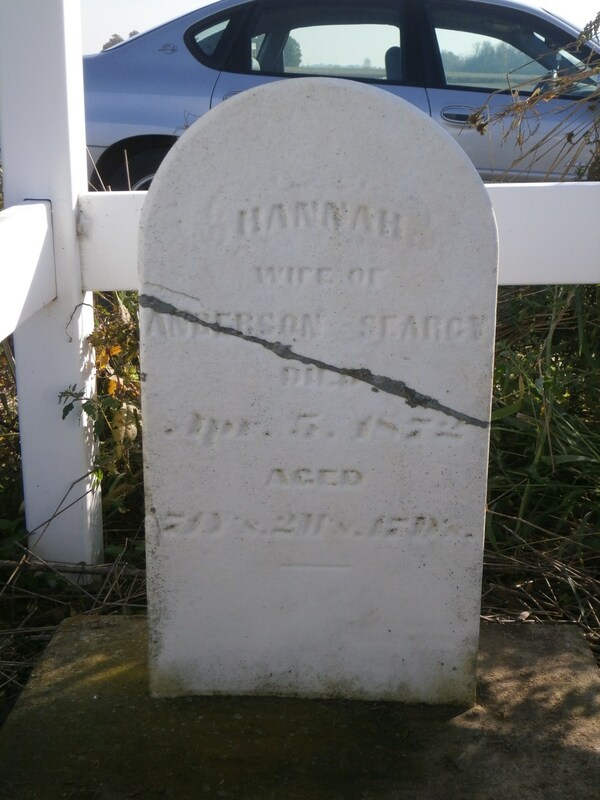 Just for the record, Anderson's marker is south of Hannah's. Please walk to this cemetery. Vehicles are not permitted - we were an exception.